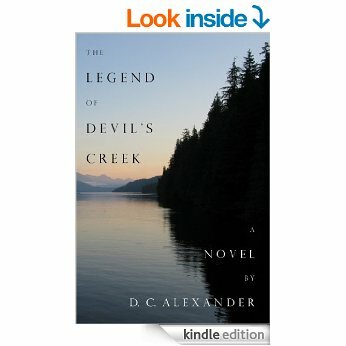 When a mutilated corpse is found bound to a tree deep in the forest of remote Aubrey Island, Washington, residents learn that the murder mirrors, in every ritualistic detail, a series of revenge killings described in a century-old local ghost story. More abductions and killings soon follow. Justin Riddley, recently transferred to the island’s small college, faces growing evidence that one of his new friends and fellow students may be the murderer. John Marshall, redemption-seeking captain of the local police force, leads the frantic murder investigation and struggles to figure out whether the killings are tied to the island’s dark and violent past. Tormented by tragic wartime memories, and more convinced with each day that it is humanity’s fate to destroy itself, Marshall races against both the murderer and the specter of his own mental breakdown. As blood continues to spill, Riddley and Marshall wonder whether there may be a dark, universal force that drives evil deeds great and small, and whether the nature of one’s childhood might sometimes, in the end, be all that separates the saint from the psychopath.